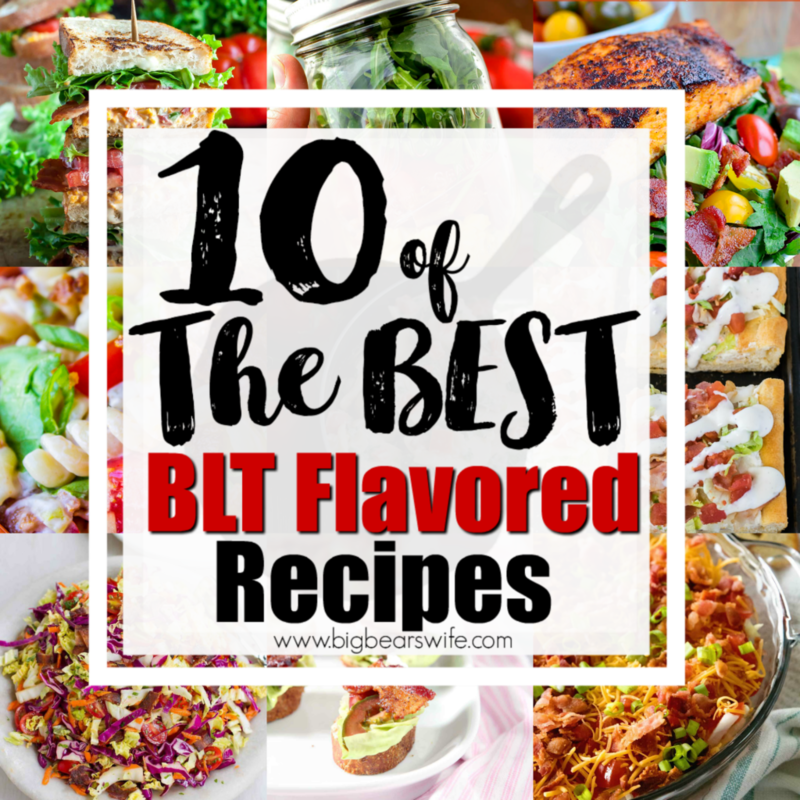 If you love BLT sandwiches, you’re going to want to check out these amazing recipes because we’ve found 10 of the best BLT Flavored Recipes for y’all to try! 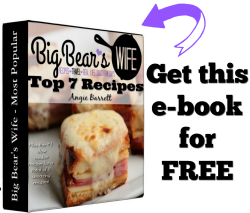 These recipes take those classic BLT flavors and turn regular recipes into fantastic meals! 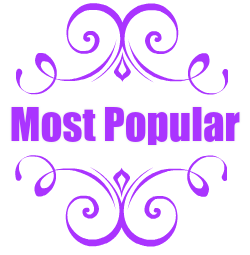 I’ve got three favorites when it comes to deli style / diner sandwiches as I like to call them! 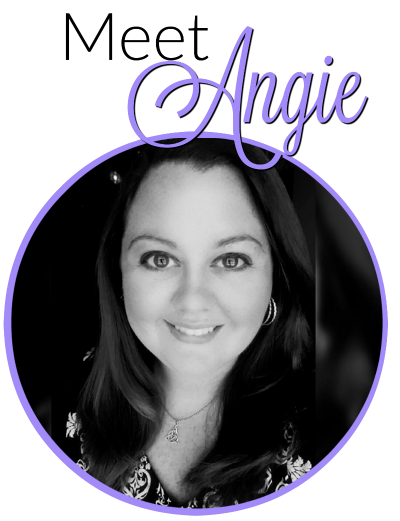 The Chicken Salad Sandwich with lettuce, tomato and mayo is one of my top favorites, then there is the famous Club Sandwich and the all-time favorite BLT Sandwich rounds out the top 3 favorites on my list! BLTs are just tasty and I probably have the most memories of them from the Ice Cream and sandwich shop I worked at years ago because ever day I found myself making tons of them for customers. 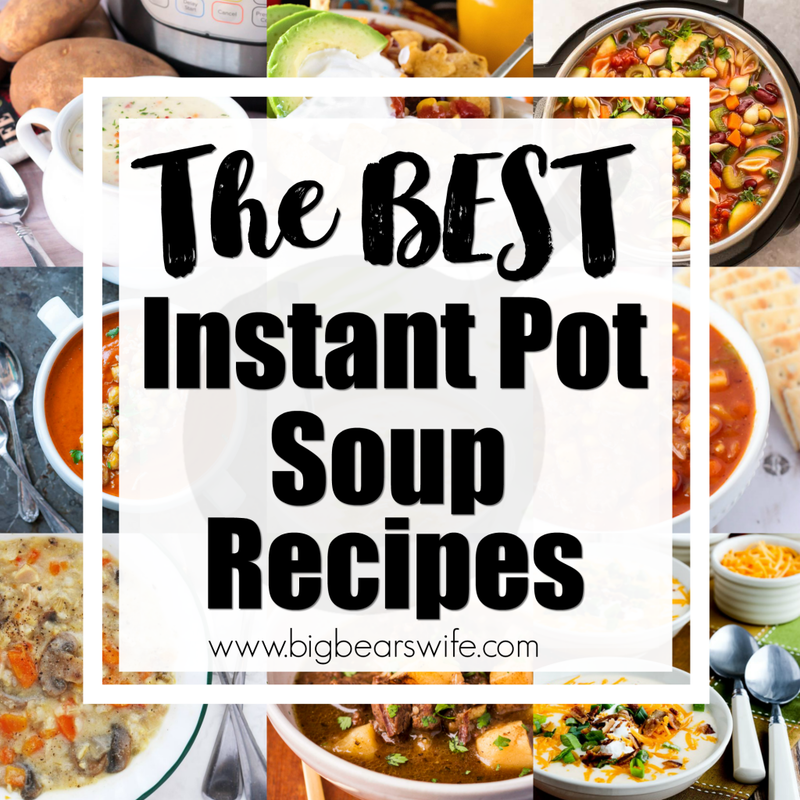 Since I lvoe them, I decided that a round up of BLT flavored recipes needed to happen! 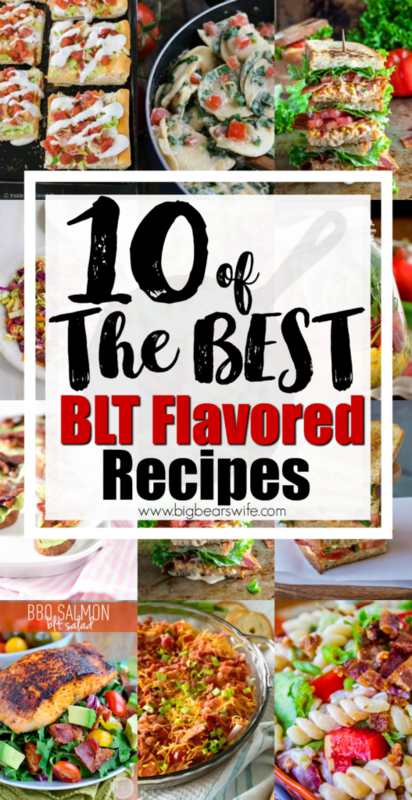 These are 10 of the best BLT Flavored Recipes I’ve found! 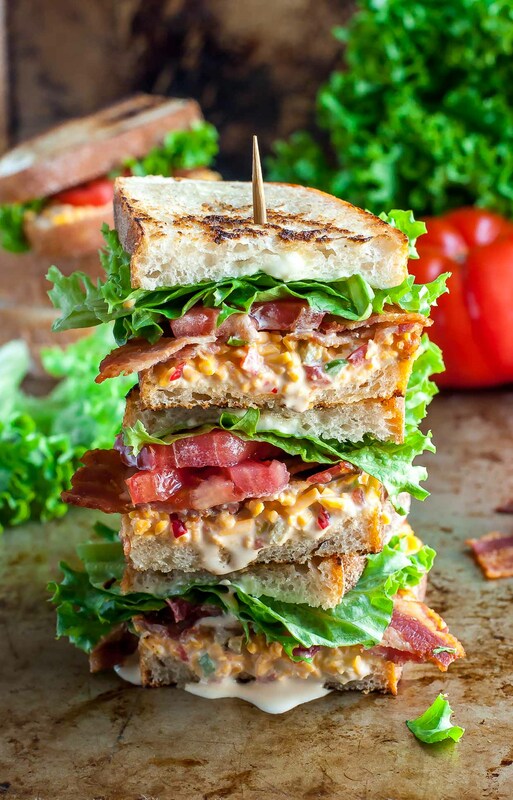 This glorious stacked sammie is toasted and piled high with smoky bacon, crisp lettuce, and creamy pimento cheese for the ultimate BLT pimento cheese sandwich experience! 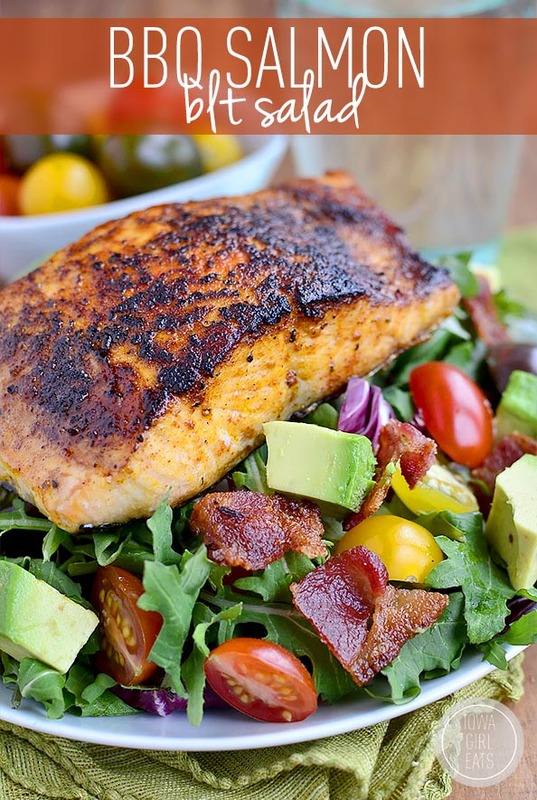 BBQ Salmon BLT Salad is a filling and unforgettable gluten-free salad recipe that’s ready in under 30 minutes! 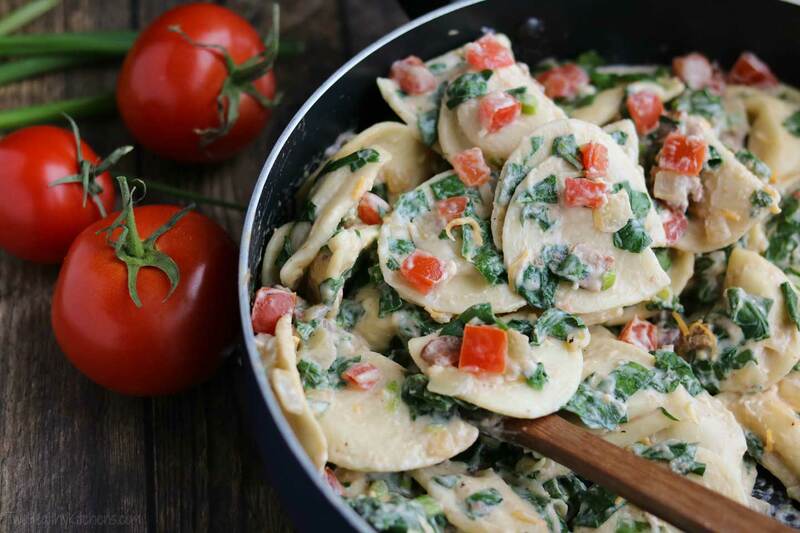 This BLT Pierogi Skillet Dinner uses just one pan, and is on the table in 30 minutes! 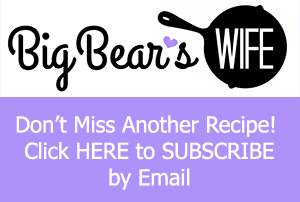 Pillowy soft pierogies are draped in a creamy, cheesy, alfredo-like sauce and loaded up with vibrant BLT flavors – comfort food with a satisfyingly fresh twist! It’s one of those meals that wins little cheers of joy at my house when dinner is announced. 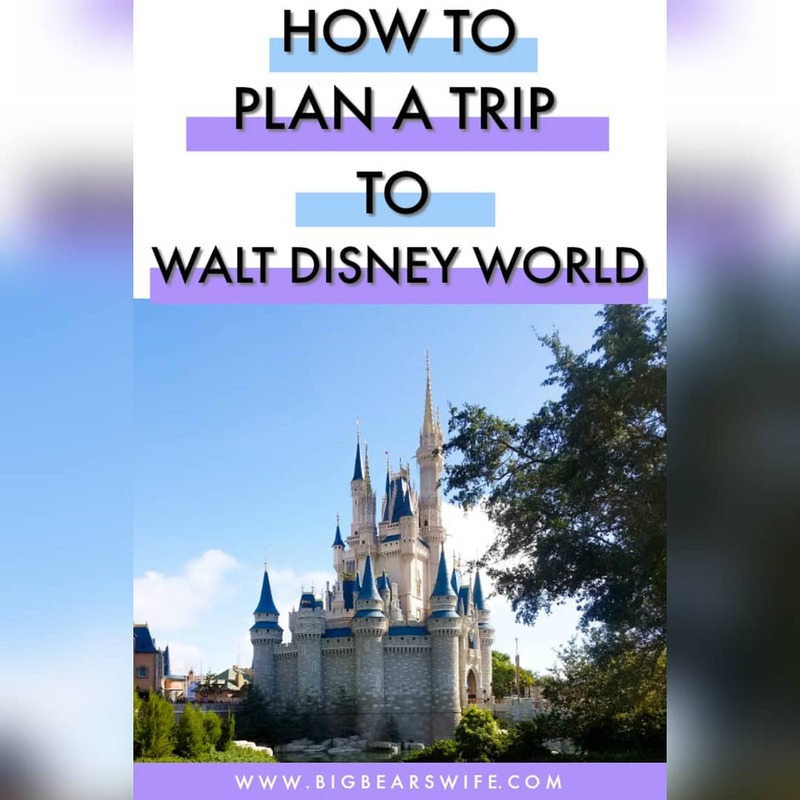 Bonus: it reheats beautifully, too, so you can even make it ahead for busy evenings! Make BLT Bruschetta for an appetizer for your party! This fun twist on traditional bruschetta features all of the goodness of bacon-lettuce-tomato sandwich and a finger-licking good garlicky sauce. First, the bacon cook in the oven with the garlic. Whip up the garlicky sauce, then layer the ingredients onto toasted bread. Perfect for baby and bridal showers, tailgating and a regular ‘ol meal, this versatile BLT Bruschetta is great for a crowd! 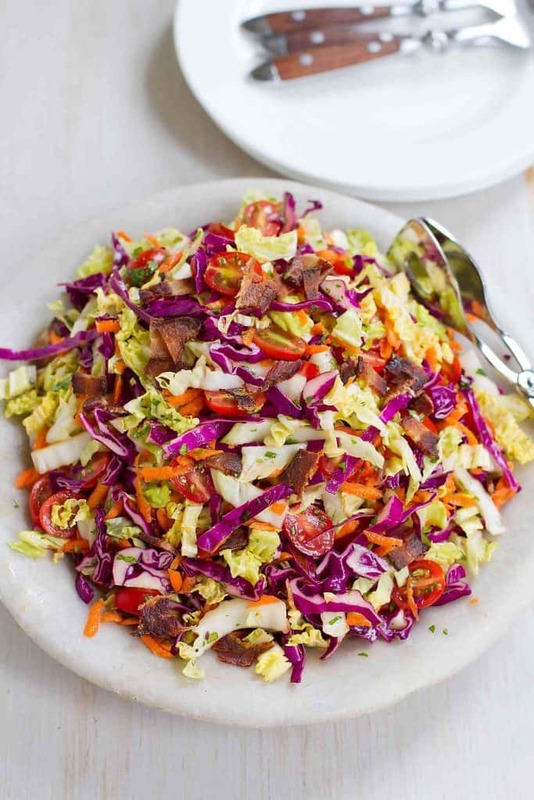 This 30-minute no-brainer side dish is perfect to throw together right before the potluck! 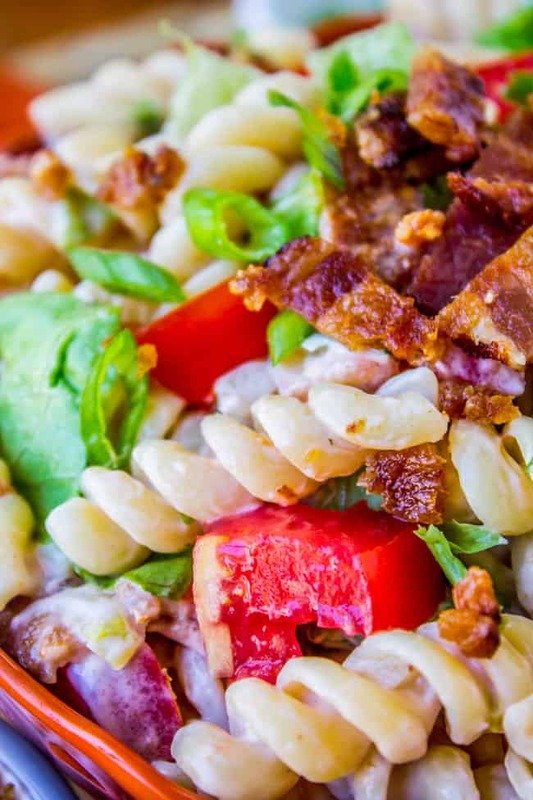 Bacon, lettuce, and tomato have never been so right together. Add some grilled or rotisserie chicken to make it a quick dinner. Easy BLT Dip ~ Take Your Favorite Summertime Sandwich and Make it into a Dip! 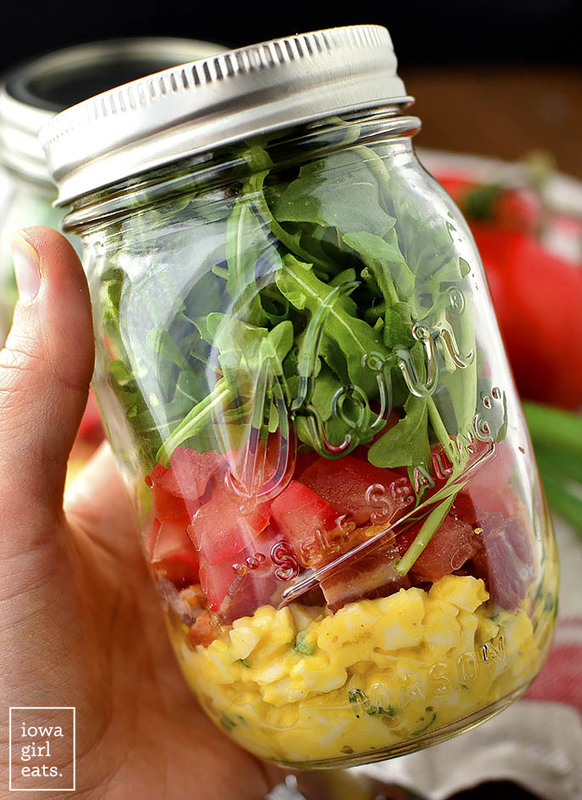 Layers of Lettuce, Bacon, Cheese and Tomatoes! The Perfect Dip for a Party During the Summer Months!